In a 30 to 45 minute preliminary interview, we learn about your current financial planning status. We study information like your investment statements, tax returns, insurance policies, estate planning documents (wills or trusts or powers of attorney), workplace benefit statements, and many others. Our analysis helps us to identify and define your financial goals and the likelihood If you will achieve them. With the analysis complete, we prepare your Financial Planning Status Report. We focus on your financial strengths and the opportunities that they present. And we reveal any financial weaknesses and the risks that may arise that you simply aren’t aware of. Addressing as many as eight financial planning items, we provide Recommendations and Action Steps seeking to improve the likelihood of achieving your identified goals. We don’t prepare tax returns. We strategize with our clients and their CPAs, accountants or tax preparers to present clients with strategies aiming to reduce or minimize their Federal and Vermont income tax liabilities. This may involve making investments that provide tax deductions. It also considers strategies to defer taxation while assets are accumulating for retirement. Tax-free investments may be considered. The selection of investments accounts to generate retirement income can also be made more tax-efficient. We advise on directing your discretionary income in a way that works toward your financial planning goals – i.e. - debt reduction/elimination, saving for a large purchase, charitable contributions , education and retirement savings or reinvestment of investment income for compounding. We focus on directlng high school students toward both need-based and merit-based college financial aid. We assist in establishing college savings plans (529 accounts) for parents and grandparents. We work on asset preservation strategies for households with an uninsured family member that requires nursing care in their home or in a facility. This is accomplished by consultations with our client’s elder care attorneys. After all of the seven planning items (above) are addressed in the financial plan, we build a portfolio in service to that plan, with strategies designed for different investment objectives. Once the financial plan design is finalized and approved, it is deployed. The investment strategies are implemented with experienced managers to execute them. A single household may have multiple investment strategies for different parts of their portfolio. For example, the investment strategy for a retirement account for a senior citizen, may be (and should be) entirely different from the education account for their seven-year old grandchild. Portfolios are periodically reviewed and routinely rebalanced to correspond with your investment strategy. Your long term portfolio strategies are changed, not when financial markets change, but only when the household’s financial circumstances and their financial plans change. Critical life events dictate changes in a financial plan. There are many such events: the death of a spouse or a parent, the sale of a business, an inheritance, a disabling illess or injury, the birth of a child or grandchild, and many others. As part of our 3D Process, we review your plan systematically. As you experience critical life events -- and all of us do – your financial plan is adjusted and updated to reflect those changes. Focused on your life events, our 3D process positions us to serve your entire family. 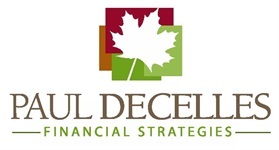 Paul Decelles Financial Strategies and LPL Financial does not provide legal or tax advice. Please consult your legal or tax advisor regarding your specific situation. Financial planning offered through LPL Financial, a registered investment advisor. Rebalancing a portfolio may cause investors to incur tax liabilities and/or transaction costs and does not assure a profit or protect against a loss.